Many forms of cancer soon will be treated like high blood pressure – as a serious disease that, even if it cannot be cured, can be managed for a very long time with oral medications that have few side effects, says Iuliana Shapira, MD. As the newly appointed Chief Medical Officer of Regional Cancer Care Associates, LLC (RCCA), one of the nation’s largest networks of oncology specialists, Dr. Shapira is working to speed such advances, so that patients can realize the full benefits of scientists’ expanded understanding of cancer, of innovative therapies to treat cancer, and of the way cancer care is delivered. “The main message I have for people dealing with cancer, and for their families, is one of hope,” Dr. Shapira said in a recent interview. “We are learning very fast how cancer starts, works, and travels. New therapies are invented every day. Patients should be optimistic.” The board-certified hematologist oncologist speaks as someone who has helped drive progress in cancer care. Dr. Shapira has conducted basic-science research in the role that ribonucleic acid (RNA) plays in the development of malignancies, and has done extensive clinical research in breast cancer, ovarian and gastrointestinal malignancies, and drug development. 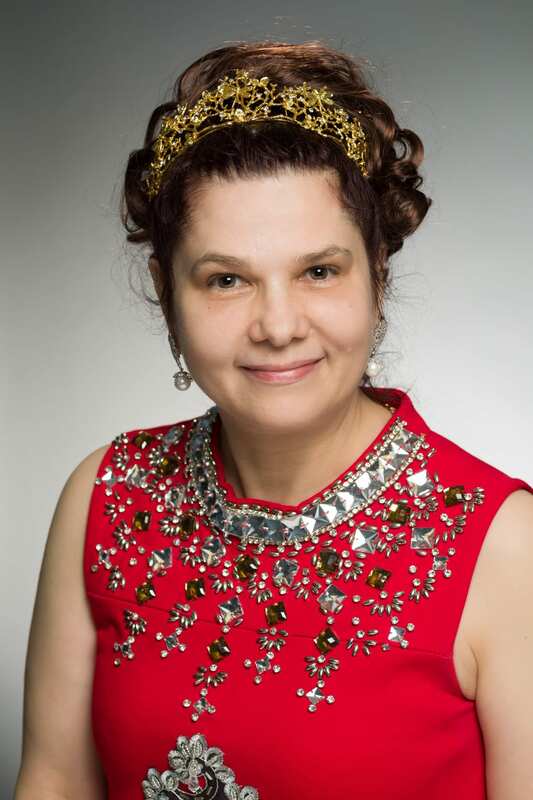 She served for several years as Associate Professor of Medicine at the Hofstra North Shore-LIJ School of Medicine, and was Director of its Center for Cancer Genetics and Cancer Control from 2008 to 2014. She joins RCCA from SUNY Downstate Medical Center in Brooklyn, where she served as Division Chief for Hematology and Oncology. The cancer specialist explains that she was drawn to the Chief Medical Officer’s role at RCCA – which has 30 care delivery sites in New Jersey, Connecticut, and the Maryland/Washington, DC area – because of the organization’s track record of bringing cutting-edge therapies and clinical trials to community-based practices, where most cancer care in the United States is delivered. 4. Promote the best quality cancer care and patient experiences while lowering the cost of care for patients. A major focus, she explains, will be to expand patient access to the many clinical trials offered at RCCA care sites. “I also will be working with our physicians on the dissemination and implementation of tools and interventions that rapidly translate cutting-edge therapies into daily practice, so that we can best deliver the latest gains in cancer knowledge to vulnerable or difficult-to-reach populations, and can effectively monitor the quality of intervention delivery. Our aim is to bridge the gap between clinical research and everyday practice by building a knowledge base about how health information, new technologies and interventions, and new clinical practices and guidelines are translated into community-based healthcare,” Dr. Shapira notes. 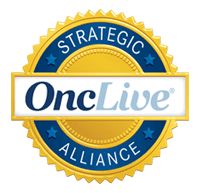 Rapidly integrating diagnostic and treatment advances into community-based cancer care is critical given the move toward use of highly individualized therapies that often target specific genetic mutations, Dr. Shapira explains. For care to be truly “patient-centered,” however, therapeutic advances must be matched by an evolution in the way patients move through the healthcare system, Dr. Shapira says, adding that this is a major area of focus for RCCA. The cancer specialist explains, “For patients, the journey through cancer — from screening and prevention to diagnosis and treatment and disease resolution or end of life — is complex and multileveled. At each stage in that journey, their cancer is managed by personnel working within their own fields of expertise, often in total separation from others involved in the patient’s care. RCCA was established to change this approach to cancer care. Our physicians integrated their practices with the aim of putting the patient first, and to deliver superior quality and the best value care to our patients. 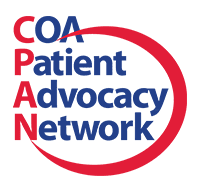 The RCCA model provides useful information for healthcare providers in determining how best to organize service delivery to achieve the best outcomes, and the best quality of care at the lowest cost for our patients. Our clinical integration allows our patients to be supported by nurse navigators and social workers who help break down the silos of care.” That integration of care also encompasses close collaboration and communication with patients’ primary care physicians, Ob/Gyns, urologists, and other doctors, she adds. 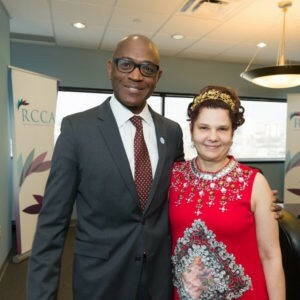 RCCA Little Silver, NJ physicians welcome new RCCA Chief Medical Officer Iuliana Shapira, MD. From left to right: Dr. Kenneth Laughinghouse, Dr. Ian Horkheimer, Member, Clinical Standards Committee, Quality Committee and Research Sub-Committee, Dr Iuliana Shapira, Chief Medical Officer. Dr Denis Fitzgerald – Chair of the Clinical Standards Committee / Member of the Governance Committee and Compliance Sub-Committee. 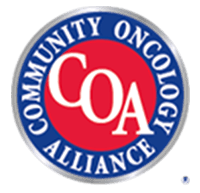 Dr. Shapira notes that RCCA’s commitment to providing value-based care is reflected in its participation in the Oncology Care Model created by the Centers of Medicare and Medicaid Services (CMS), the government agency that oversees the Medicare and Medicaid programs. “We voluntarily submitted to intense scrutiny to show in a fully transparent manner that we offer the best care,” she says. RCCA includes more than 120 physicians supported by 800 employees at 30 care delivery sites, providing care to more than 24,500 new patients annually and over 245,000 existing patients. For more information, visit www.RCCA.com.